Every now and then I like to take pictures of civilization and nature together, especially when they work together to create interesting images. 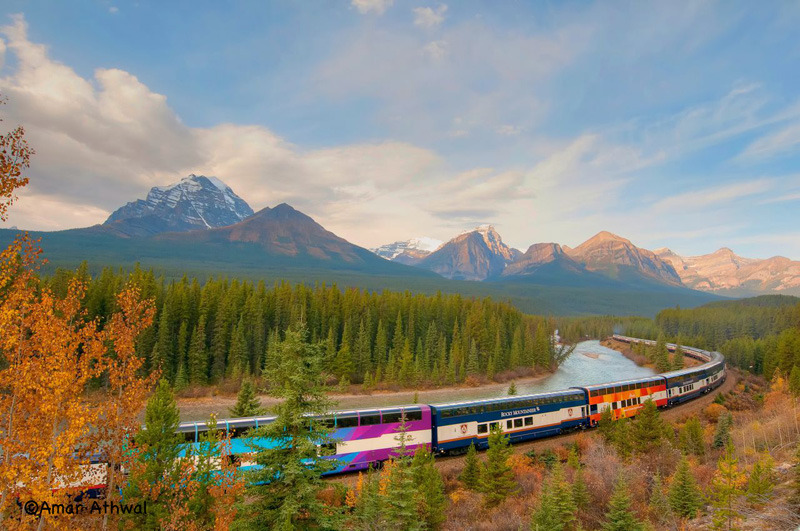 The Rocky Mountaineer was heading west through Morant's Curve, named after Nicholas Morant, made famous by the photos he took at this location. Mountaineer's two colourful car added to the image. Another photo taken at the Admin. grounds. 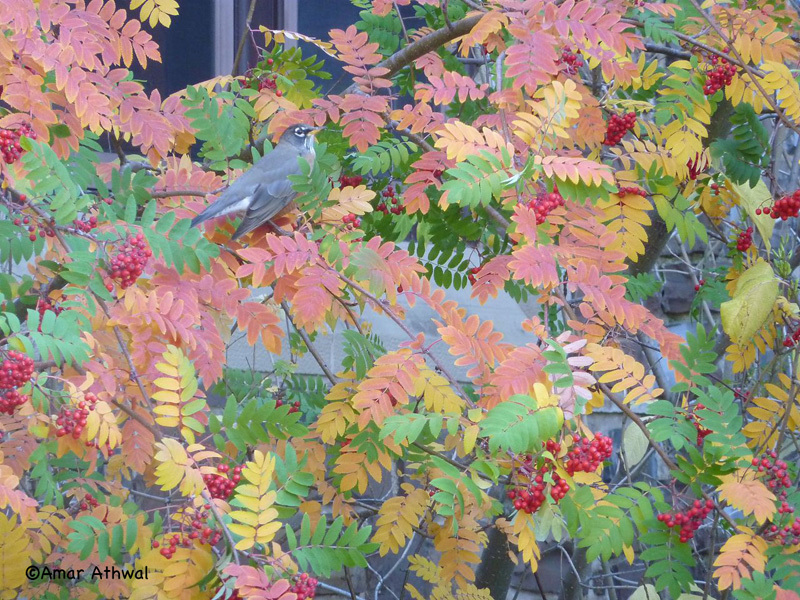 Robin ready to eat the fruit produced on the colourful Mountain Ash standing along the Banff National Park's Administration building. 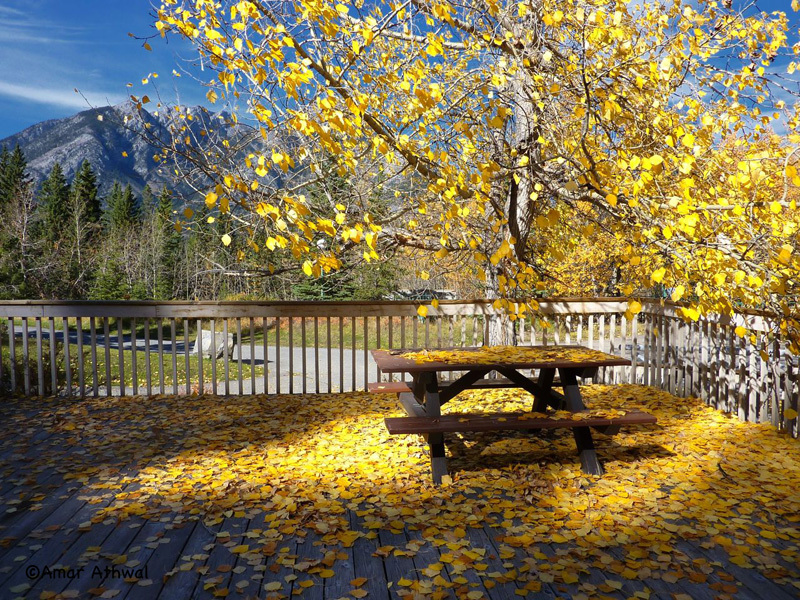 Finally, this bench and the deck covered by the fallen leaves from the Balsam Popular tree. With the beautiful golden colour from the leaves brightly lit up by the sunlight, the image was meant to be taken.